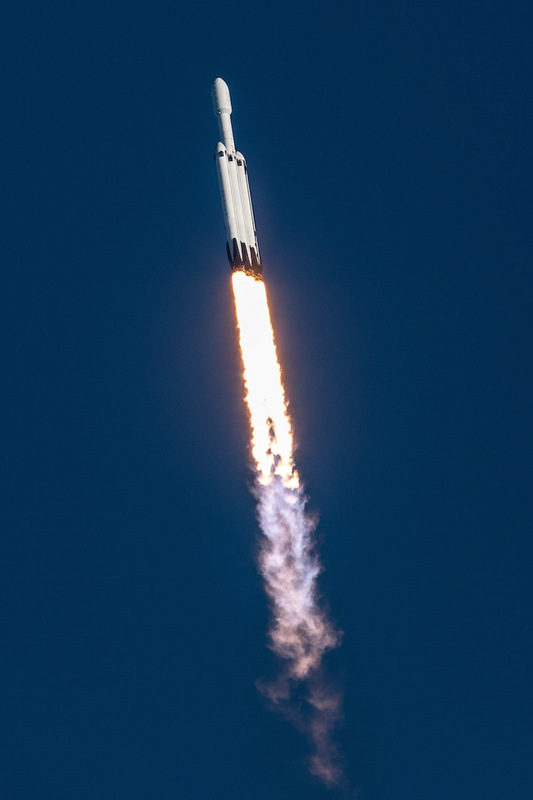 The 229-foot-tall, 40-foot-wide (70-meter by 12.2-meter) Falcon Heavy climbed away from pad 39A with 5.1 million pounds of thrust from 27 Merlin main engines. 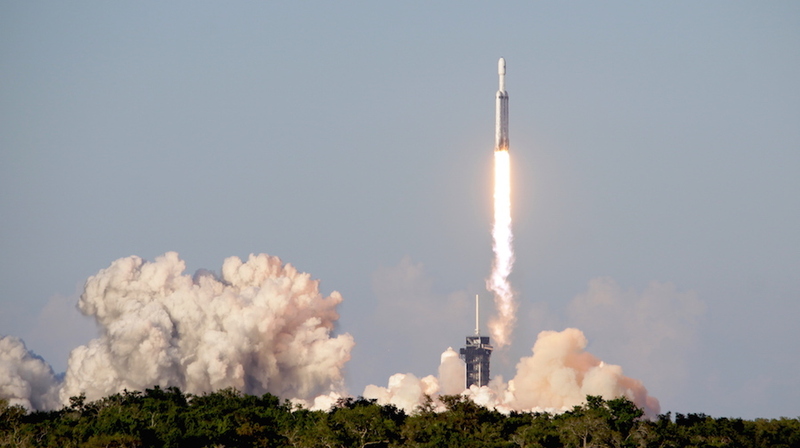 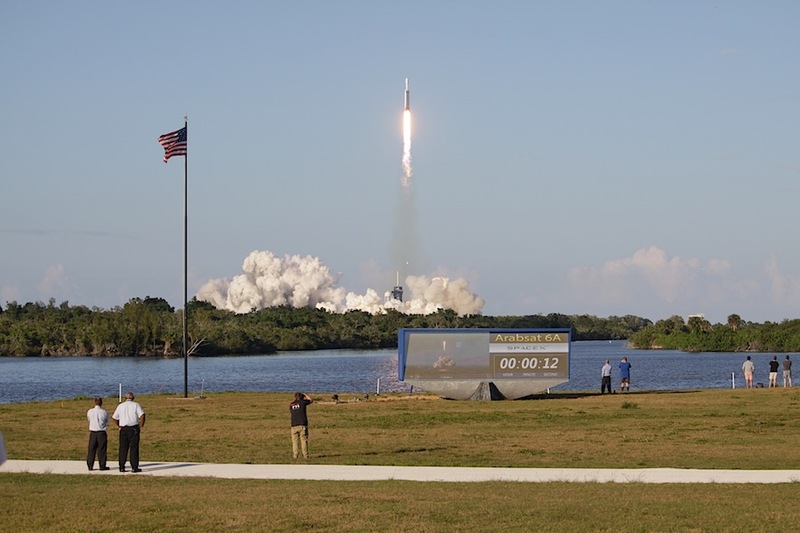 The window-rattling departure from Florida’s Space Coast heralded the start of the first operational Falcon Heavy mission, more than a year after the mammoth launcher completed a successful test flight. 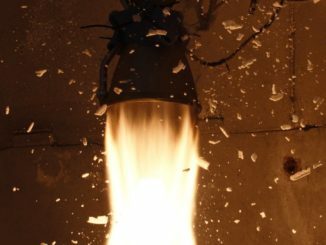 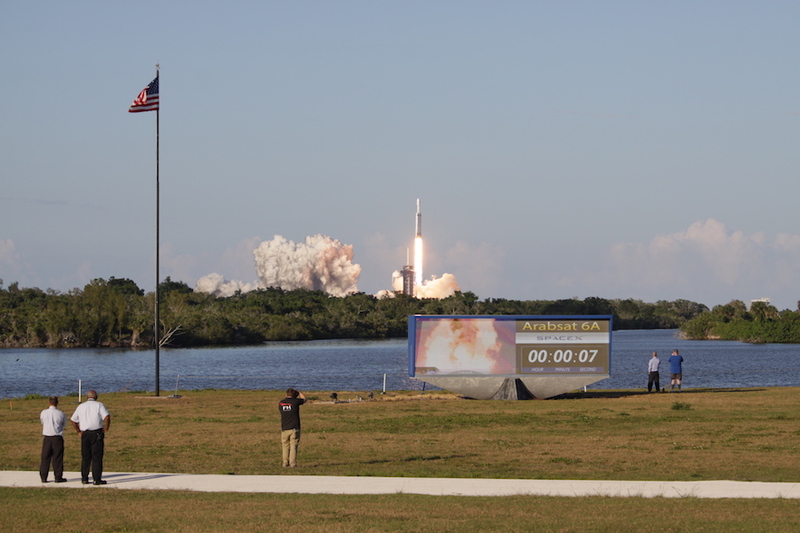 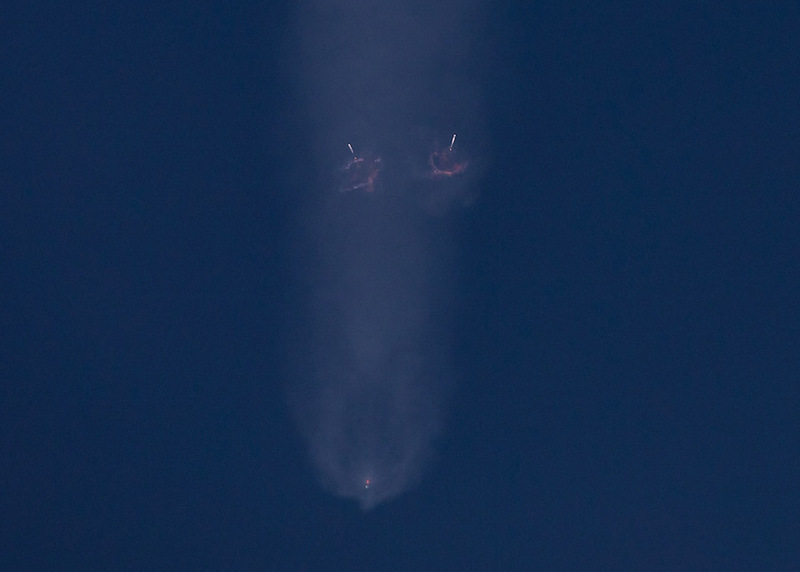 The first batch of images were taken at Playalinda Beach north of the pad, and the second set are from the KSC press site around 3 miles (5 kilometers) west of pad 39A show the Falcon Heavy’s fiery takeoff at 6:35 p.m. EDT (2235 GMT). 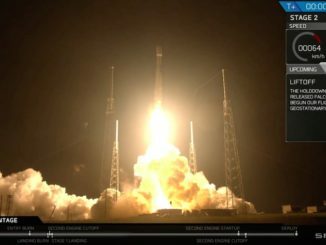 Two-and-a-half minutes into the flight, the rocket’s two side boosters jettisoned and began thrusting back toward Cape Canaveral. 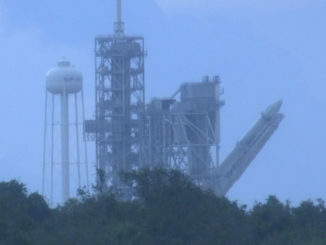 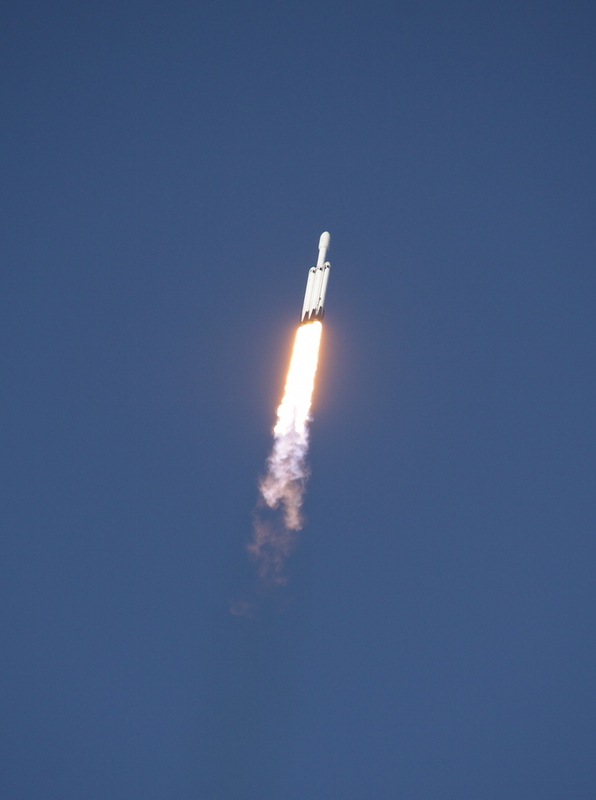 The side boosters successfully landed at Cape Canaveral Air Force Station around eight minutes after liftoff, and the Falcon Heavy’s center core nailed an on-target touchdown on SpaceX’s drone ship in the Atlantic Ocean. 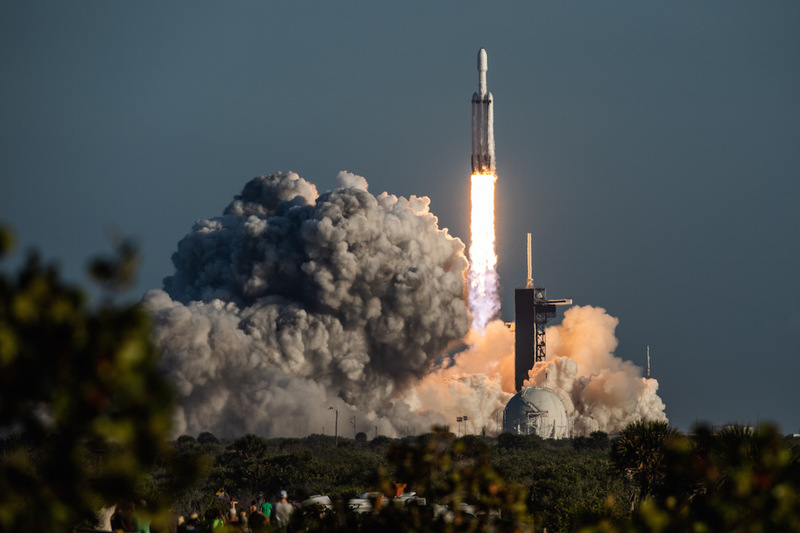 The payload for the flight was the Arabsat 6A communications satellite, which the Falcon Heavy’s second stage shot into an elliptical orbit ranging up to 56,000 miles (90,000 kilometers) above Earth.